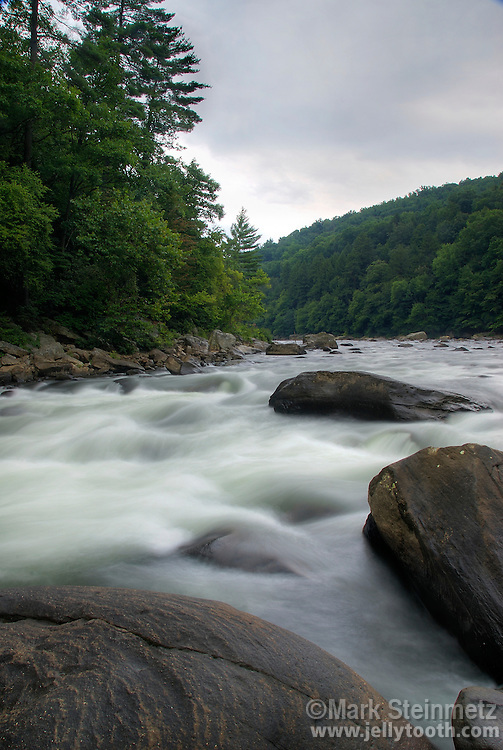 Rapids on the Youghiogheny River, Pennsylvania. Nicknamed the "Yough", this river is a tributary of the Monongahela River which drains a portion of the west side of the Allegheny Mountains. It's a popular river for whitewater kayaking and rafting.